The red scarf is a symbol of the Young Pioneers, originally introduced from the former Soviet Union. It represents the corner of the red flag and the color symbolises the blood of numerous revolutionaries who gave up their lives for the founding of the New China. School students in China now wear the red scarf as a symbol of dedication and hard work along with their uniform of tracksuits usually in red, white and blue. 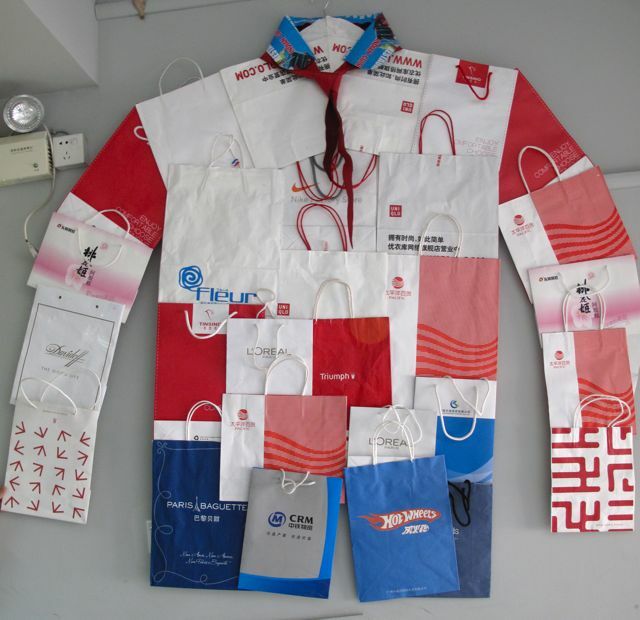 The bags used in the making of this Artwork are mainly from sporting, clothing or the service industry.